Develop a greater understanding of culture and language in the global community with a degree in Spanish. At Park University, our Bachelor of Arts in Spanish degree program is designed to assist students in acquiring the Spanish language as a tool of communication in the local, national and global communities. Whether you are pursuing professional-oriented or academic goals, a Spanish degree can provide you with the knowledge and skills needed in many different areas of life. As a student in our Bachelor of Arts in Spanish program, you’ll be required to take face-to-face classes at our Parkville, Missouri campus. The Bachelor of Arts in Spanish degree requires a minimum of 122 completed credit hours. SP 201 Intermediate Spanish I …………………………. 3 cr. SP 202 Intermediate Spanish II ………………………… 3 cr. SP 294 Intermediate Spanish Conversation ………… 3 cr. SP 295 Intermediate Spanish Composition ………… 3 cr. SP 301 Advanced Spanish Conversation …………….. 3 cr. SP 302 Advanced Spanish Composition & Grammar…………………….. 3 cr. SP 311 Culture and Civilization of Spain …………… 3 cr. SP 312 Culture and Civilization of Spanish America & the Hispanic Caribbean ……….. 3 cr. SP 320 U.S. Latino Cultures and Literatures ………. 3 cr. SP 322 Reading Cervantes’ Masterpiece: Don Quixote………………………………………. 3 cr. SP 384 Professional Service Learning Experience in Spanish………………….3 cr. SP 394 Introduction to Literature of Spain ………… 3 cr. SP 395 Introduction to the Literatures of Spanish America & the Hispanic Caribbean ……….. 3 cr. SP 399 The Major Capstone Project …………………. 3 cr. SP 201 Intermediate Spanish I ………………….3 cr. SP 202 Intermediate Spanish II …………………3 cr. SP 294 Intermediate Spanish Conversation …3 cr. SP 295 Intermediate Spanish Composition …3 cr. SP 320 U.S. Latino Cultures and Literatures .3 cr. plus one 300-level SP elective in a cultural and/or literary topic. …………3 cr. SP 203 Business Spanish I ………………………..3 cr. SP 204 Business Spanish II ……………………….3 cr. SP 205 Issues in International Business ………3 cr. SP 320 U.S. Latino Cultures and Literatures ..3 cr. SP 384 Professional Service Learning Experience in Spanish………3 cr. The study of Spanish is not only the study of language; it is the study of culture too. Park University’s Spanish program offers elementary, intermediate and advanced courses in oral fluency, writing and reading proficiency as well as the study of U.S. Hispanic, Spanish American, and Spanish literatures and cultures. Students with advanced proficiencies are encouraged to work with faculty to design internships in a variety of disciplines. 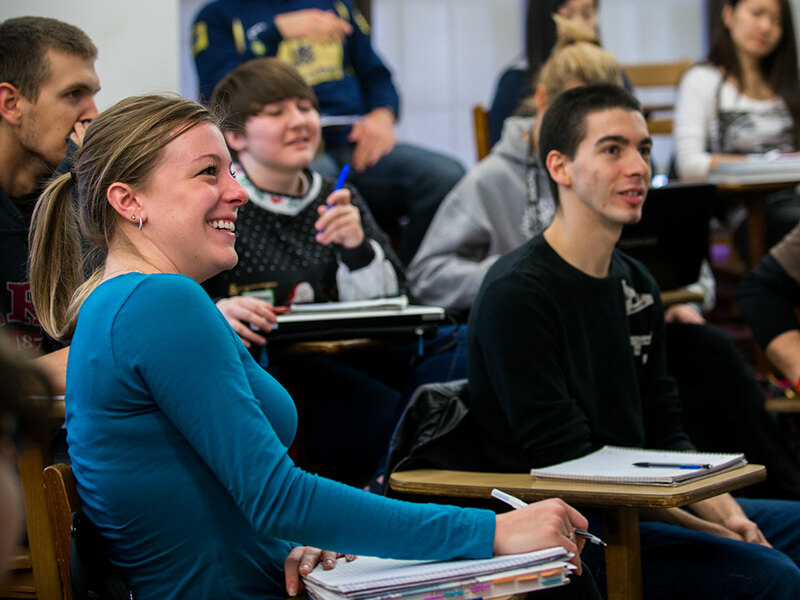 Our Spanish degree programs stress a local, national and global focus. As a Spanish student, you can gain an appreciation and understanding of the history and culture of diverse societies around the world. At Park University, students who study Spanish language and literature become multi-lingual professionals whose cultural knowledge and global perspective will lead to successful careers both in this country and abroad. Park’s Spanish program offers elementary, intermediate and advanced courses in oral fluency, writing and reading proficiency as well as the study of U.S. Hispanic, Spanish American and Spanish literatures and cultures. Students with advanced proficiencies are encouraged to work with faculty to design internships in a variety of disciplines. An accredited study abroad summer or semester program in Spanish is strongly recommended for majors and minors. Park University’s Bachelor of Arts in Spanish degree program provides a well-rounded approach to the study of language. Along with the study of the Spanish language itself, the study of the Hispanic and indigenous cultures is an integral part of the program. This program emphasizes cultural studies and the development of skills for communication in the present-day world. The study of literature will serve as a vehicle to a better understanding of the language and culture. At Park University, we aim to help our students explore diverse cultures through the study of literature and through the development of a skillful use of languages spoken throughout the global community. These fundamental skills will help prepare you to pursue your academic and professional goals in many different fields. Explore our opportunities for study abroad as well as scholarship opportunities. At Park University, our Professors are all highly qualified with doctorates and master level degrees with significant experience in their areas of Spanish language teaching, culture and literature. Our specialized educators are committed to developing and supporting your skills.